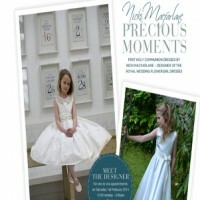 Nicki Macfarlane is delighted to announce that she will be presenting her latest First Holy Communion collection at Dublin’s finest lifestyle store, Brown Thomas on Saturday 1st February 2014. 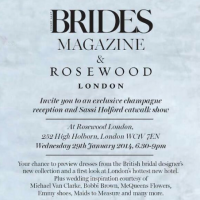 Nicki Macfarlane are proud to be part of The Brides Magazine Reader Event featuring many of the best names in the Bridal Industry. We will be displaying some of the highlights of our gorgeous bridesmaid and flower girl dresses as well as some of our pageboy outfits and accessories.